Joel & Candice just wanted a brief ceremony as a prelude to a Christmas holiday/honeymoon in Bali. 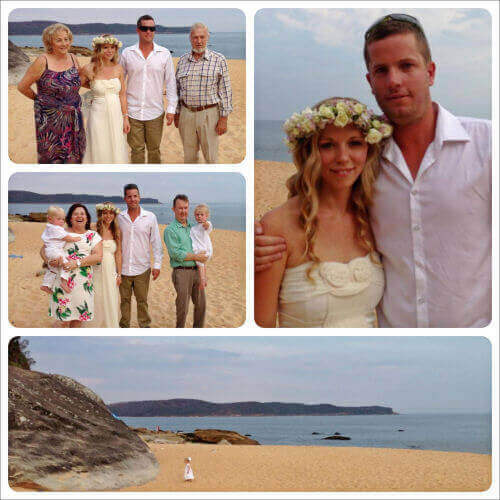 We chose a peaceful end of Pearl Beach for their ceremony. As soon as Joel kissed his bride some onlookers gave a huge cheer. It was an awesome welcome to marriage. “Thank you very much for getting us through our wedding day. You made it very calm and stress free. It was quick and easy and we can’t thank you enough. We’re very happy that we chose you” Mr & Mrs W.